Iso Amyl Acetate (banana oil) offers the oldest method of testing respirator fit. Its strong, readily identifiable odor will be recognized if respirators don't obtain a fit. 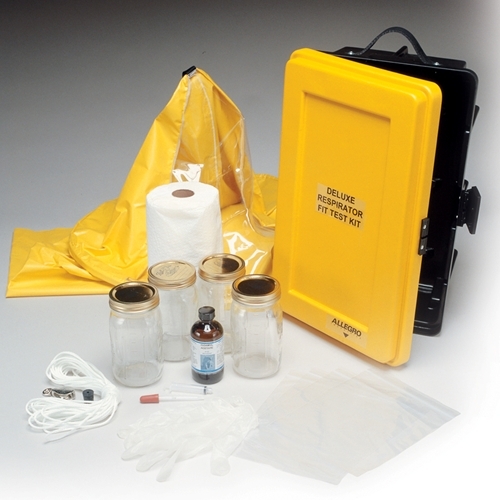 The kit includes all the equipment necessary to perform a proper fit test, including a fit test tent, jars, 8 oz. testing agent, paper towels, disposable bags and other necessary components, all housed in a convenient storage and carry case.